The ECT-B32V2 from Hikvision is an outdoor EXIR VF bullet camera provides high definition analog output. TurboHD means that the analog signal can be sent over existing coaxial cable, eliminating the need to run new cables for high definition video. 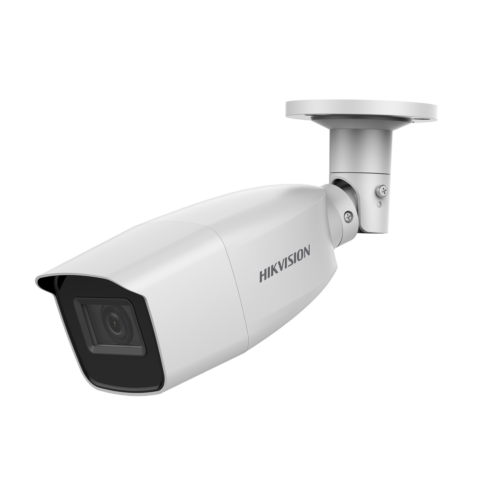 EXIR 2.0 is Hikvision’s proprietary IR extended range technology, which has a range of 130 feet (40 meters). The 2.8 mm to 12 mm manual varifocal lens is optimized for viewing angles that fit any situation.